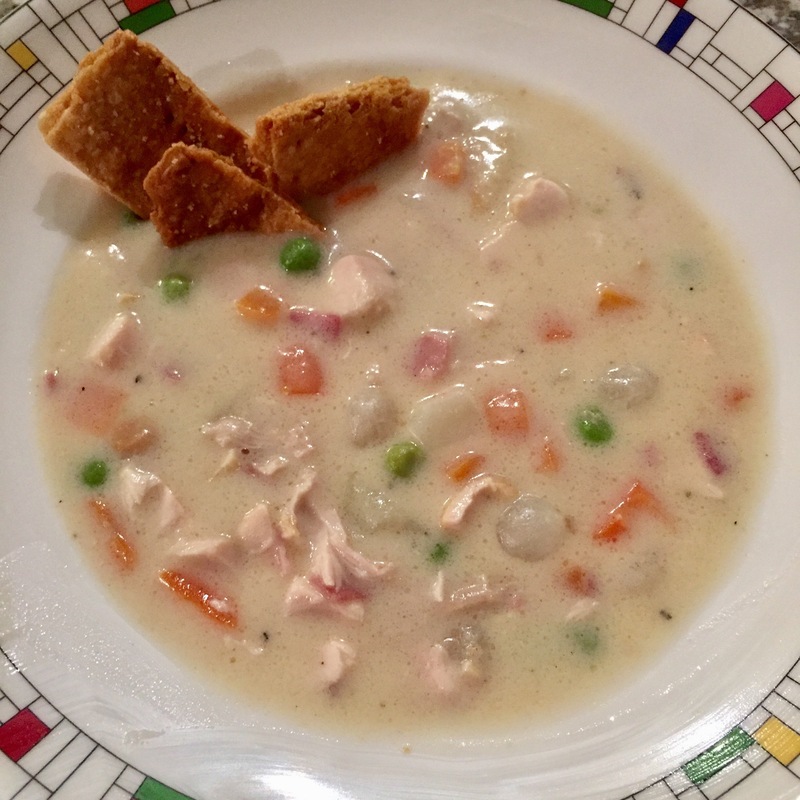 After the awful Margarita chicken experience, I am happy to report that Chrissy Teigan more than redeemed herself with her Pot Pie Soup with Crust Crackers. I am SO glad to know that this is how super models get their bodies, because I could eat this every single day and be very satisfied. Recipe at the end! 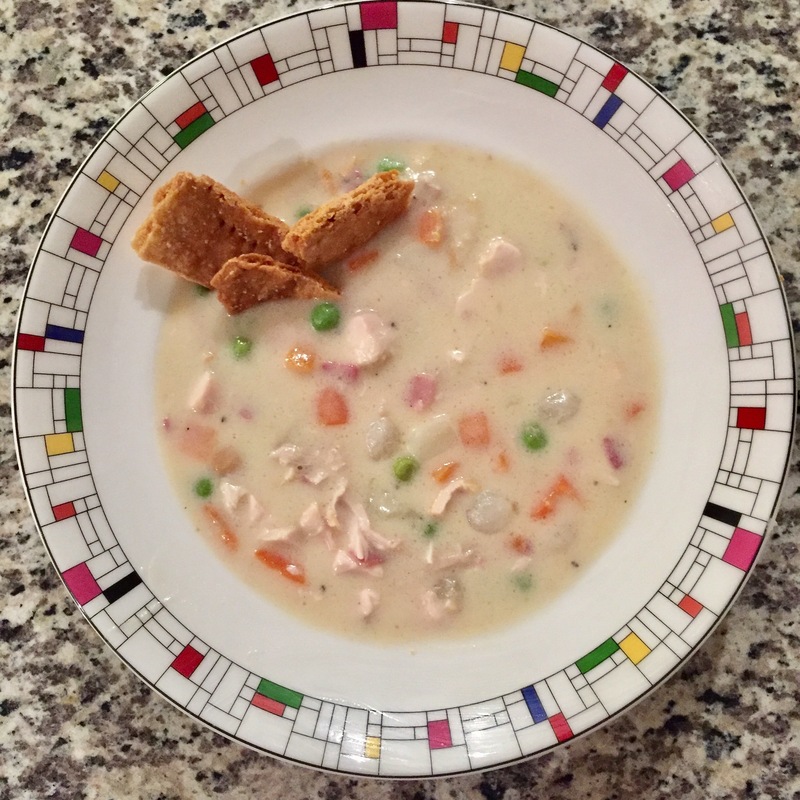 Crust crackers are perfect for this soup. Rather than scooping soup with them, I find they’re best crumbled on top, producing the crunch that this creamy soup needs. 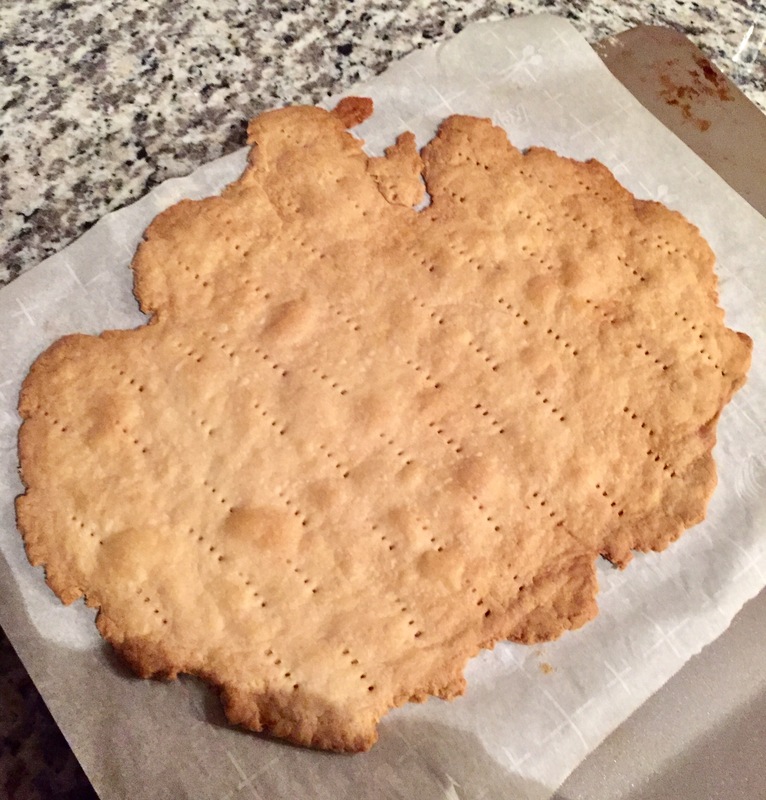 The original recipe in Cravings calls for double this amount of cracker dough, then promptly says to freeze half of it for later use. Now, what is the point of that? I just assume make half to start, so that’s what I’ll give you. Oh also, I half the amount of salt she uses. I love salt, but it seemed aggressive, so I’ll give you that too. It may look like something you’d find in a K&W Cafeteria, but I promise, you’ll want it in your belly on a snowy weekend. In a food processor, pulse flour and salt until mixed. Add the cold butter and pulse until pea-sized bits of butter remain. Add the ice water and pulse until a dough ball forms, about 15-20 times. Take your dough ball and chill for 30 minutes in the refrigerator. In a medium saucepan, heat the milk and broth together over a simmer. In a big soup pot, heat the butter at medium-high heat until foamy. Add the flour, reduce heat to medium, and stir for 2-3 minutes, until toasty. Slowly pour in the broth-milk mixture and whisk until smooth. Bring to a boil then reduce heat to low and cook until thickened, about 5 minutes. Add potato, carrots, peas, onions, and ham. Simmer until potatoes are tender, about 20 minutes. Stir in chicken and cream and heat through, about 5 minutes. Note: I found that when reheating this soup, it was super THICK. I mixed in a tablespoon or so of chicken broth to thin it out a bit. Delicious!